A comprehensive guide to implementing the standard C libraries which are both POSIX & OPEN/X compliant. Contains the most commonly used functions, such as: opening, reading, and closing files; screen I/O; performing math; character and string manipulation; and memory allocation. Contains code examples and usage recommendations. Every programmer, from first year students to experienced programmers, will find this book useful. Note: This is part of a 2-volume set. 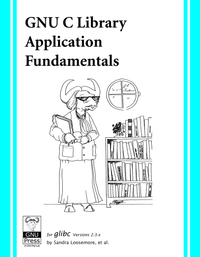 The other title is GNU C Library: System & Network Applications. Davidson is a freelance author, speaker, and software consultant, focusing on Mac OS X, Java, and XML technologies.